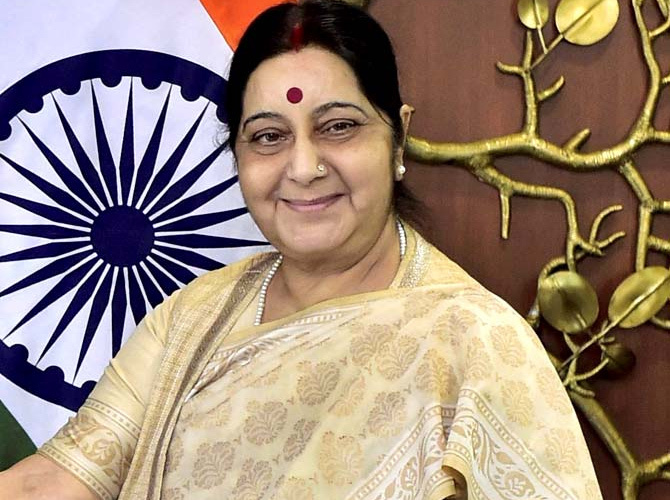 India’s External Affairs Minister Sushma Swaraj arrives in Paris today on a two-day visit. Taking stock of the progress on the series of agreements that India and France signed during the visit of French President Emmanuel Macron to India in March would be high on the agenda as India’s External Affairs Minister Sushma Swaraj arrives in Paris today on a two-day visit. Incidentally, this is the first visit that Swaraj will be making to France in her four-year tenure as the External Affairs Minister of India. During her visit, Swaraj will hold discussions with her French counterpart Jean Yves Le Drian and is also expected to call on President Macron. The discussions with Le Drian will primarily focus on the movement made by both sides in agreements such as the logistics agreement, which provides access to the defence forces of both the countries to each other’s military facilities. The two ministers will also review the progress made on key agreements such as mutual recognition of educational degrees and certificates as well as the agreement on mobility that was signed during Macron’s visit in New Delhi in March. Swaraj will also discuss issues such as developments in India’s relations with its neighbours, especially ties with Pakistan and China, as well as terrorism. The two ministers will also review the situation in Syria, Iran and the recent summit between the United States of America (US) President Donald Trump and the North Korean leader Kim Jong Un. The looming trade war between the US and its various partners, including India and the EU, could also figure in the talks. Later in the afternoon, Swaraj will dedicate the Indian Cultural Centre, currently under construction in Paris, to Swami Vivekananda. During her stay, Swaraj will address the Indian diaspora in France and also visit the Maison de l’Inde (India House) to mark its 50th anniversary. Maison de l’Inde serves as a home away from home for Indian students and visiting faculties here in Paris.